As agtech becomes more sophisticated and demand for technologies increases, educators in Salinas are thinking ahead to the future workforce. 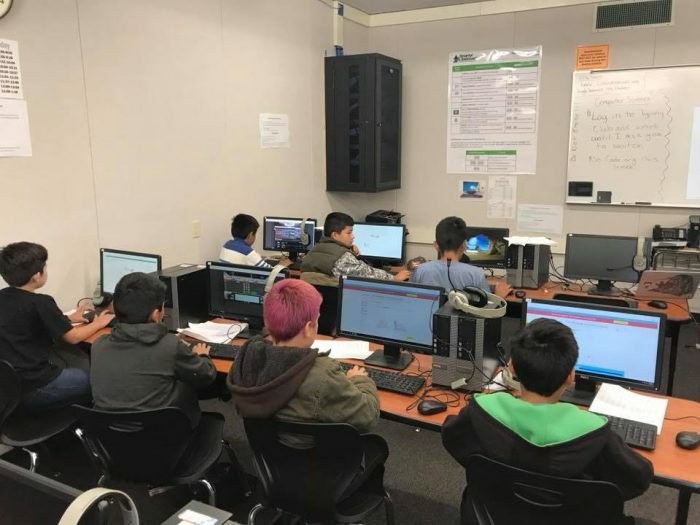 Just 60 miles south of the Silicon Valley, students in Salinas are developing skills in coding, engineering and science through a variety of programs. Through this education, students will be eligible for future job opportunities with tech companies and startups. Check out these three education programs in Salinas that are preparing students for agriculture careers of tomorrow. CSin3 is a partnership between Hartnell College and California State University Monterey Bay that allows students to earn a computer science bachelor’s degree in three years. Graduating its first class of students in 2016, the CSin3 program defies the typical demographics of the tech field and helps create opportunities for students with a diverse range of backgrounds. CSin3 students are 44 percent female, 85 percent underrepresented minorities and 80 percent first-generation college students. Graduates of the CSin3 program have gone on to intern with companies such as Adobe, Amazon, Apple, NBC Universal, Verizon Wireless, and many others. One success story, Salinas native Louis Romero, completed an internship with Harvard, an internship with IBM and received first-place at the National Science Foundation’s Emerging Researchers National Conference. CSin3 is currently accepting applications for the Fall 2019 cohort; further details can be found on the program’s website. CoderDojo Hartnell College (CDHC), part of Hartnell College’s K-12 STEM Programs, is a free computer-coding club for youth ages eight to 17. Based on the global CoderDojo movement, CDHC aims to inspire young learners to pursue high-tech careers. The program teaches students about programming technology and development of websites, web apps, games and more. Offered at five different sites across the Salinas Valley, CoderDojo follows a six-session module, and students obtain a certificate of completion at the end. What’s more, CDHC also gets students involved in extracurricular opportunities by hosting special presenters and participating in the Design, Code, Build program – events at the Computer History Museum designed to engage six to eight graders in hands-on problem-solving activities through the lens of computer science. In total, the program serves an average of 1,000 students per year. Digital NEST (Nurturing Entrepreneurial Skills with Technology) is a nonprofit, high-tech training and collaboration space for young people. Entrepreneur Jacob Martinez founded Digital NEST in 2014 with the goal of bringing tech to underserved student populations. 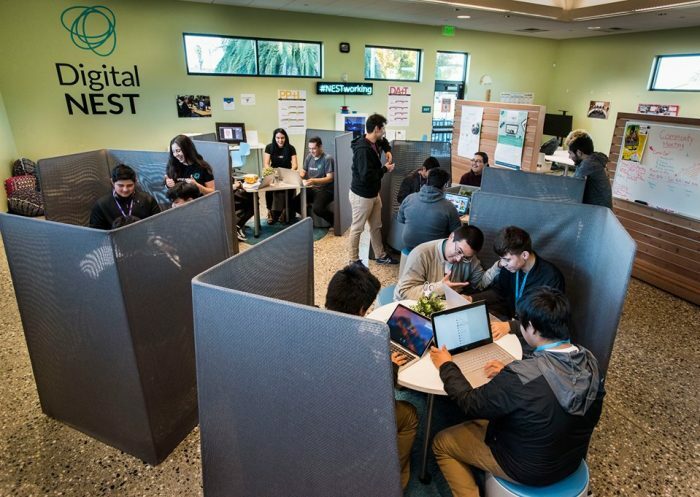 By providing access to computers, workshops, peer collaboration, tech certifications and lectures, Digital NEST helps prepare young adults to be technology leaders in the region. In total, the program has had more than 2,000 participants sign up for its programs. Additionally, Digital NEST started the NEST Flight conference, which brings top local high school and college talent together with local companies looking to hire. For local students in the Salinas area, workshops and classes are available at the Salinas Public Library. With agtech programs covering early childhood through adulthood, Salinas offers education and career development opportunities for all levels. 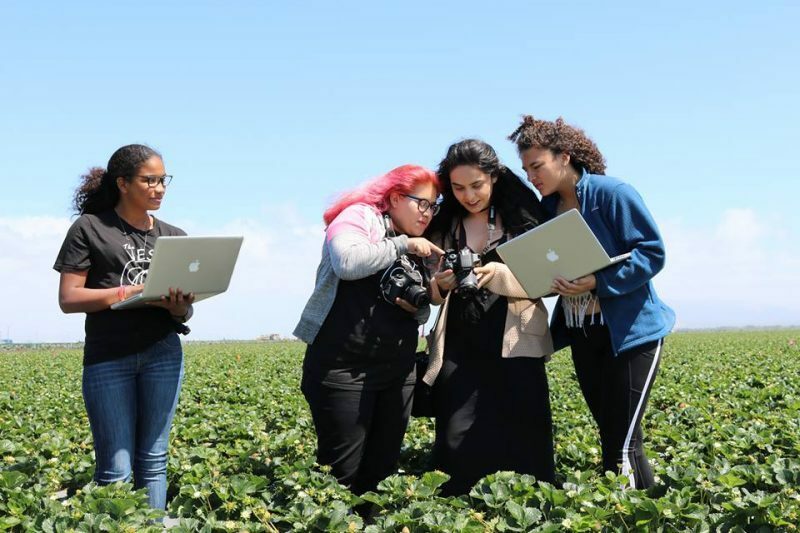 What’s more, students in Salinas have access to the many thriving agtech companies established in the region and have the opportunity to experience new agriculture technologies firsthand. For more information on education opportunities in Salinas, check out our Agriculture & Technology Programs page.